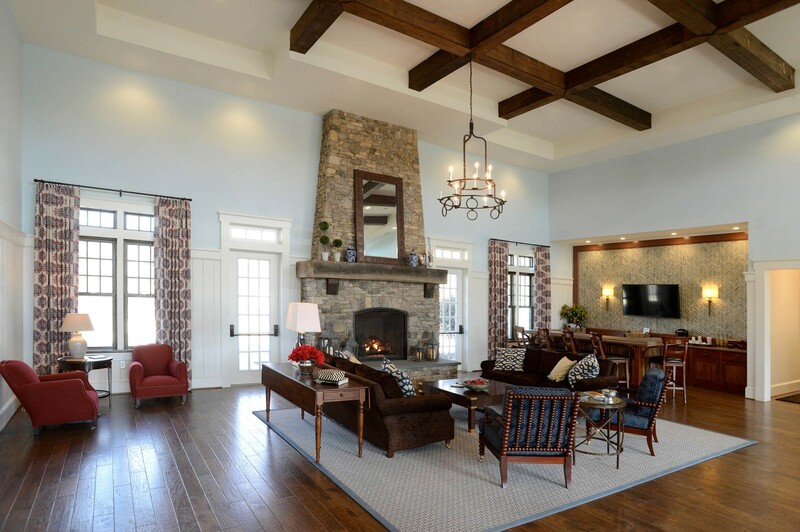 THE HALLSLEY CLUBHOUSE is a 5,200-square-foot resident’s club and pool complex situated on five acres within the Hallsley neighborhood in Chesterfield County, Virginia. 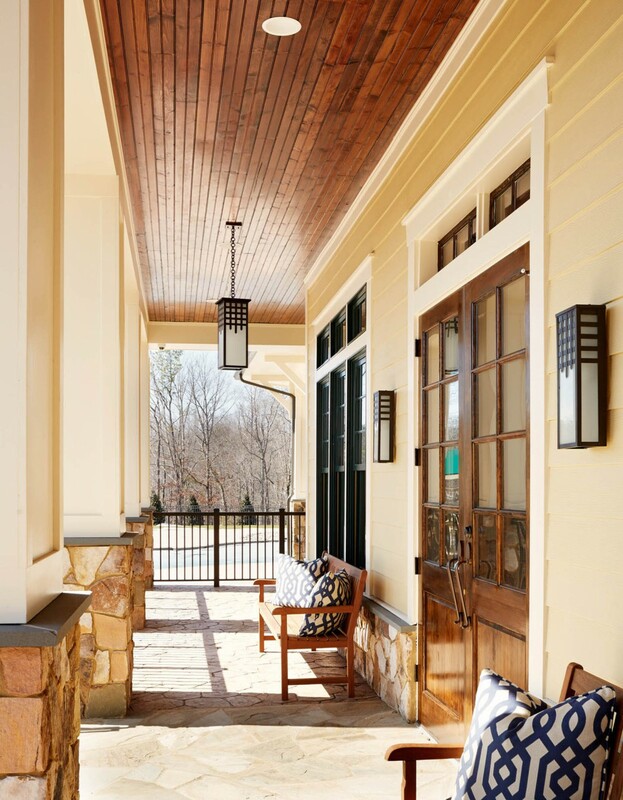 Known for architecturally diverse residences and catering to a multitude of families, East West Communities engaged Poole & Poole Architecture for the building’s design and Glavé & Holmes Architecture (G&HA) to design the interior and roof-covered outdoor spaces, as well as to consult on exterior finishes for both the building and pool. The concept for the interior design creates a thoughtful reflection of the building’s traditional architecture. 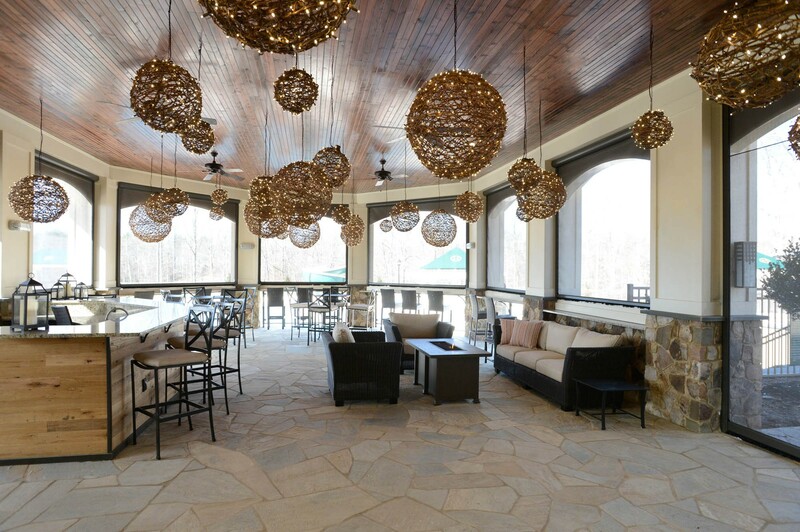 Interior and exterior finishes, furniture, and lighting was selected to enhance the rustic, handcrafted character of the space while remaining family-friendly and flexible for community events. 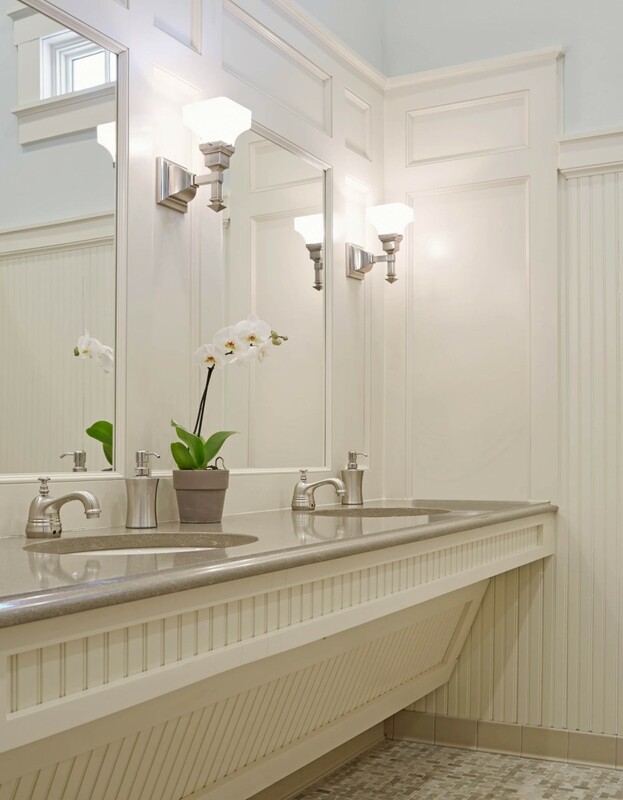 The process also involved developing a comprehensive millwork package for the bar, kitchen, and restrooms that belies commercial expectations for use and contributes to the cozy and welcoming atmosphere. 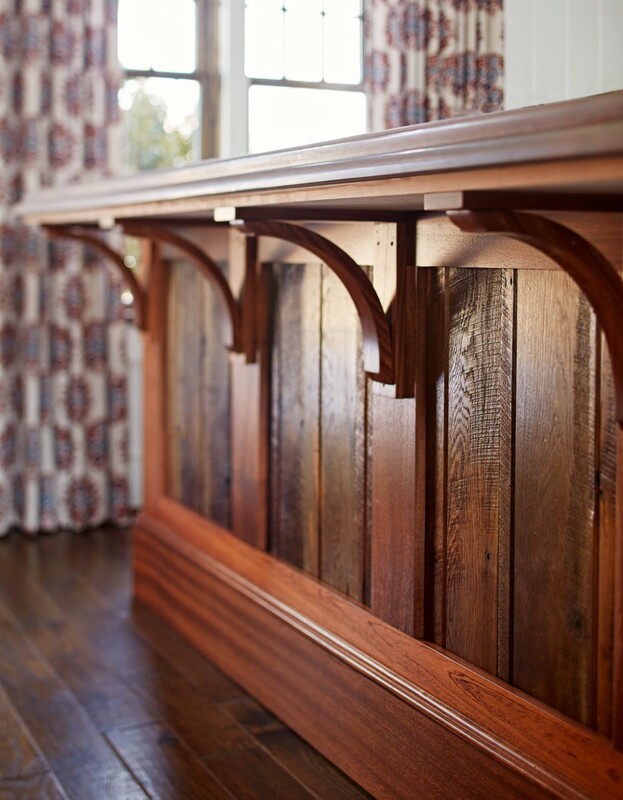 Reclaimed pine and oak were used in the ceiling beams, fireplace mantle, and indoor and outdoor bars. 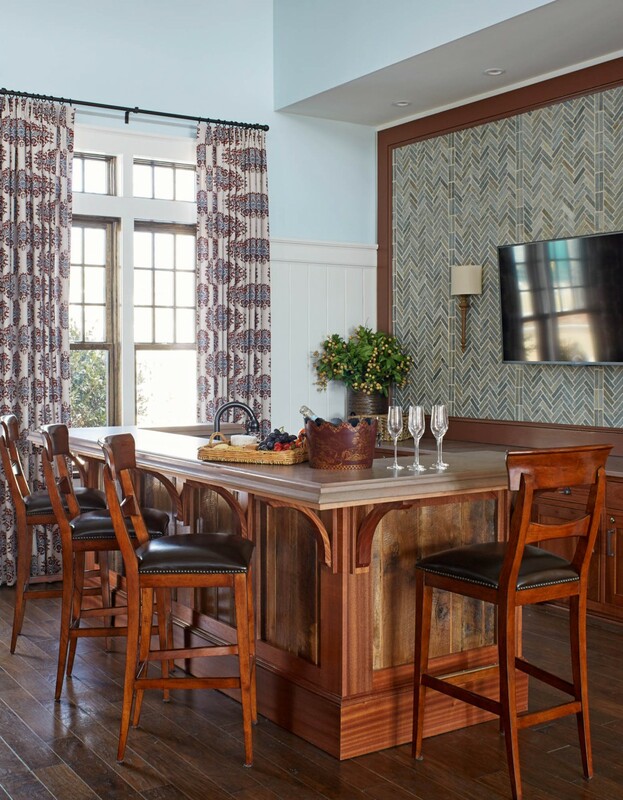 A stone herringbone accent wall at the indoor bar adds texture and character by implementing a traditional pattern in an unexpected manner. 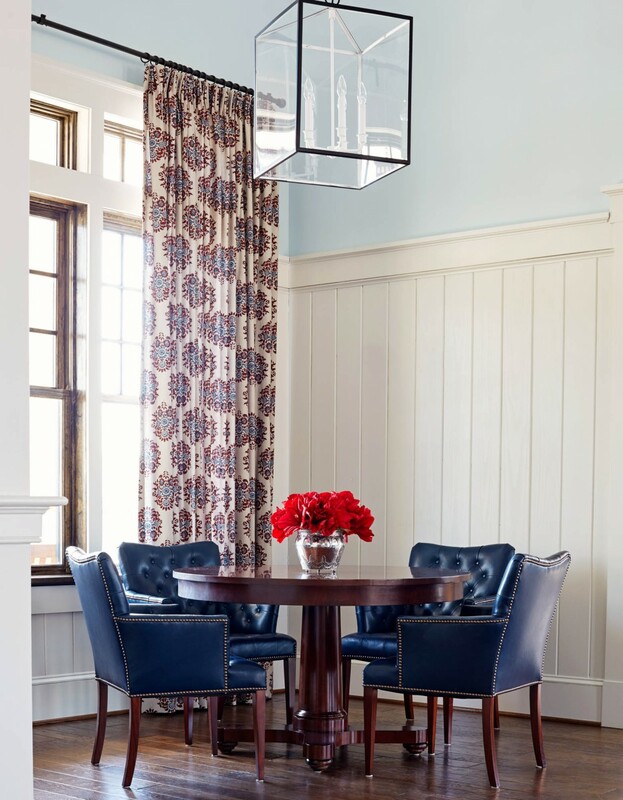 Plate rail height V-groove paneling on the perimeter of the room creates intimacy in a space with 18-foot-high ceilings. 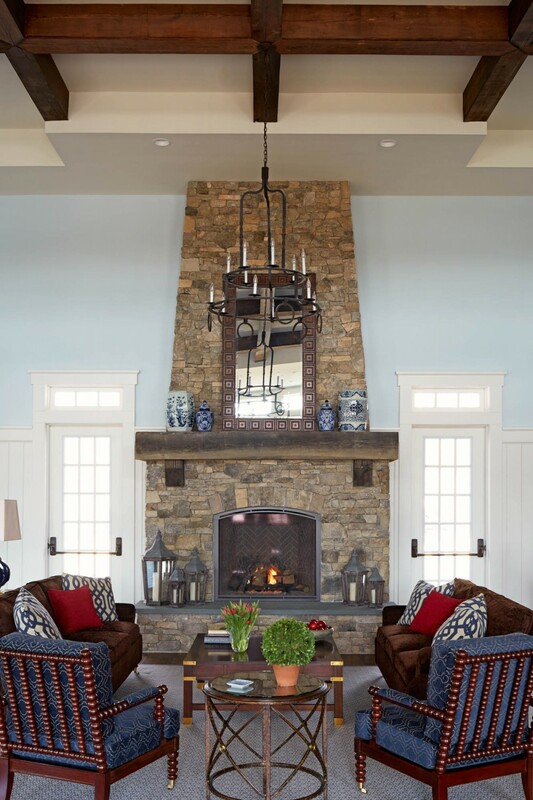 Hardwood floors, painted finishes, simple fabric, and upholstery and carpet specifications in a classic pallet collectively define the desired simplicity and ease of maintenance.